The Rieger begonia is a type of tuberous begonia that is hardy outdoors only in very warm areas, and is grown as a houseplant in regions where winter temperatures reach below 35 degrees Fahrenheit. It grows 3 double-rose-shaped flowers at the end of each stem, and is also called the winter begonia because it blooms during times when daylight periods are short. Cutting your Rieger begonia back properly is a good way to encourage it to re-flower once it has become dormant. 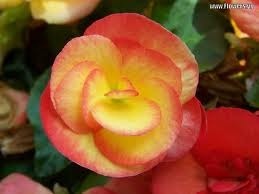 Watch your begonia’s growth to see when it becomes dormant. This will happen in the spring or summer, and you’ll notice that growth has slowed down, the plant has stopped growing flowers and the flowers have faded. Let the plant dry out gradually once it has become dormant. Cut the plant down to about 2 inches above the soil. Allow the plant to dry for about 10 days. Re-pot the plant in a bigger pot once you see new growth beginning. Begin to water and fertilize the plant again, gradually increase watering frequency. 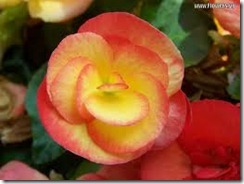 Rieger begonias flourish in bright, indirect sunlight, such as in an east-facing window. The Rieger begonia is healthiest in a non-humid location. Rieger begonias grow well in well-drained African violet potting soil. When the plant is actively growing, use ½-strength houseplant fertilizer every 2 weeks. Keep this plant out of direct sunlight, which will scorch its leaves. Do not get water on the leaves—this can encourage mildew growth.